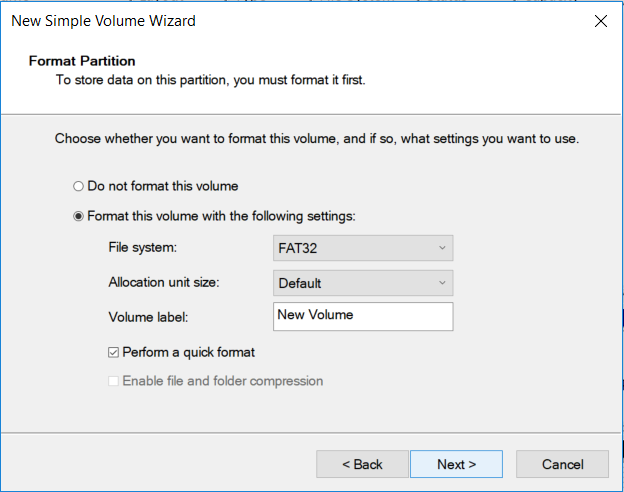 If you want to try formatting your drives separately you can do the following. Repeat on the other SD Card Drive. Note: Please be sure to only format the drives that are on your target SD Card. Formatting the wrong drive will result to data loss or deletion of your files. You are responsible for your own files. If you want to properly format your SD Card you will need to use the Disk Management Utility of Windows. Follow the instructions below. 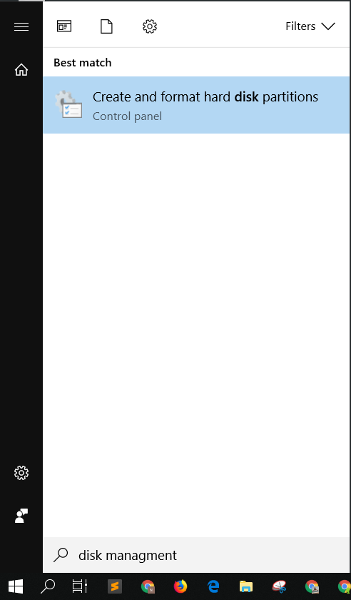 Click on the Windows icon on your Taskbar then search for Disk Management. Click on Create and format hard disk partitions. 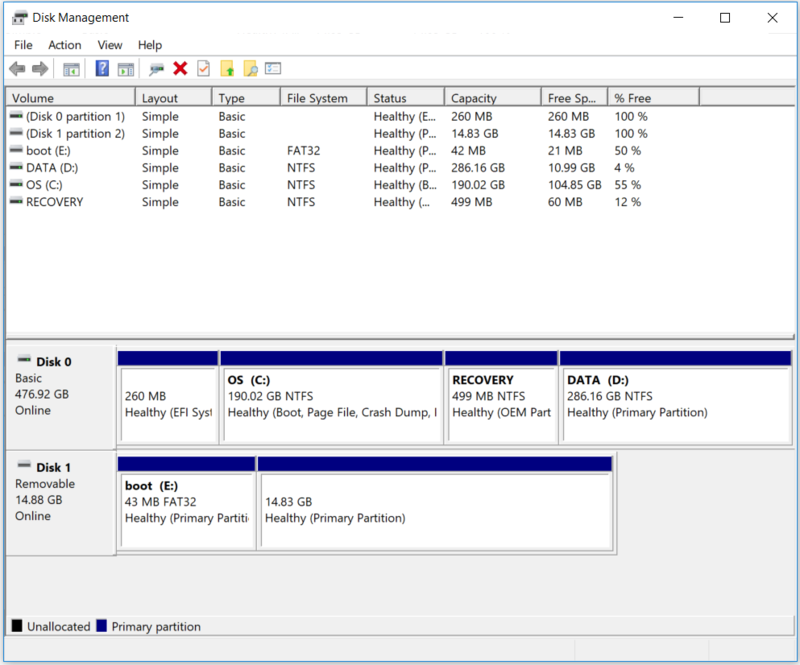 The Disk Management Window will be shown. Note: The drives above have the following properties. Yours might show differently. Disk 0 is my local SSD. 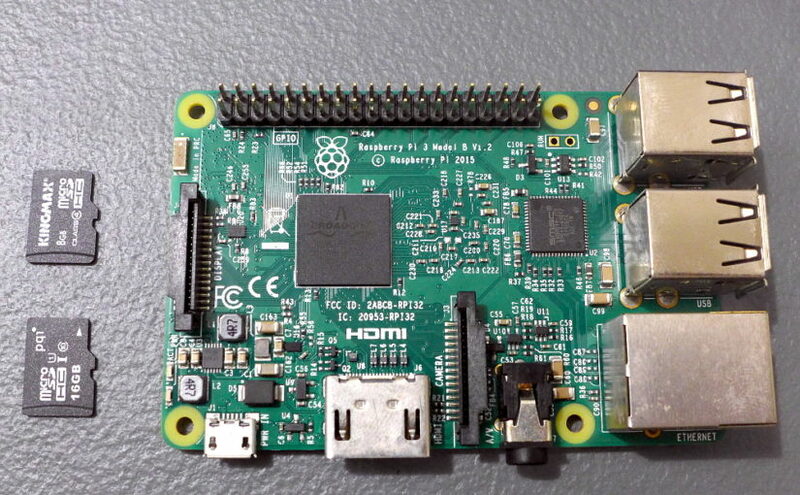 Disk 1 is my SD Card with installed Raspberry Pi OS. A warning will then pop-up. Click Yes. Once the deletion of the volume is finished, the deleted volume will now be tagged as Unallocated. A warning windows will then pop-up. Click on Yes. 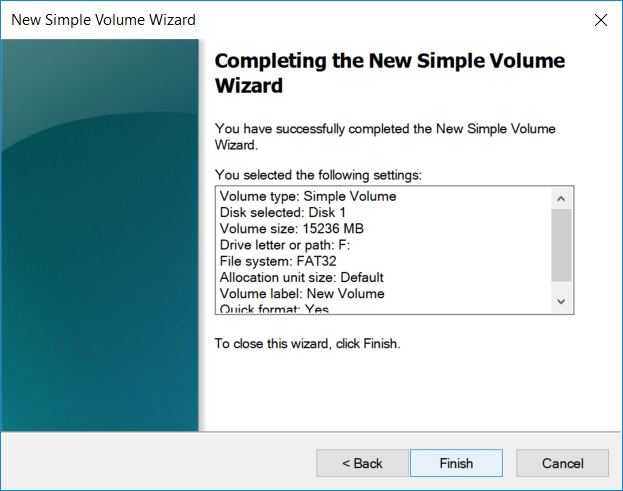 Once the Deletion of Volume process is completed, the volume on Disk 1 will only be one big volume instead of two. The New Simple Wizard Window will be shown. Click on Next. 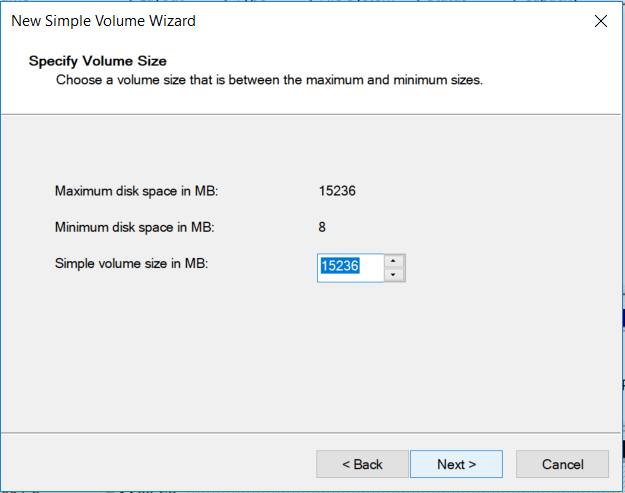 The next windows you will be asked on how big the volume you want to be. Since we want the whole volume to cover the Maximum disk space of your SD Card we do not have to change anything here. 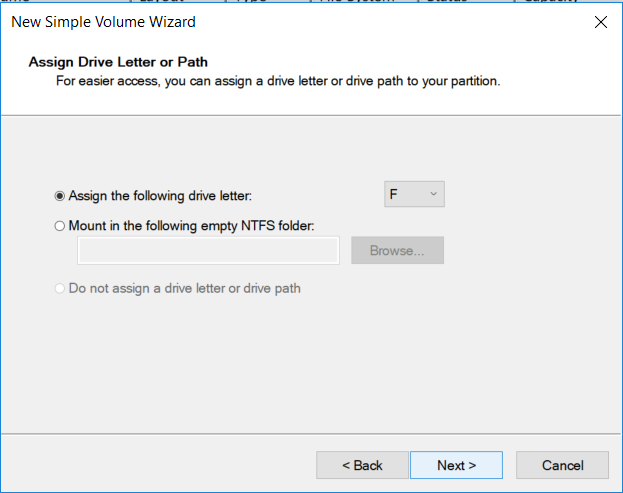 On the next window you would specify on which drive letter or mount path. This is not important for us since our only goal is to format the SD Card properly. Click Next. Here we want to specify the following. You specify if you want to use NTFS file formats here. 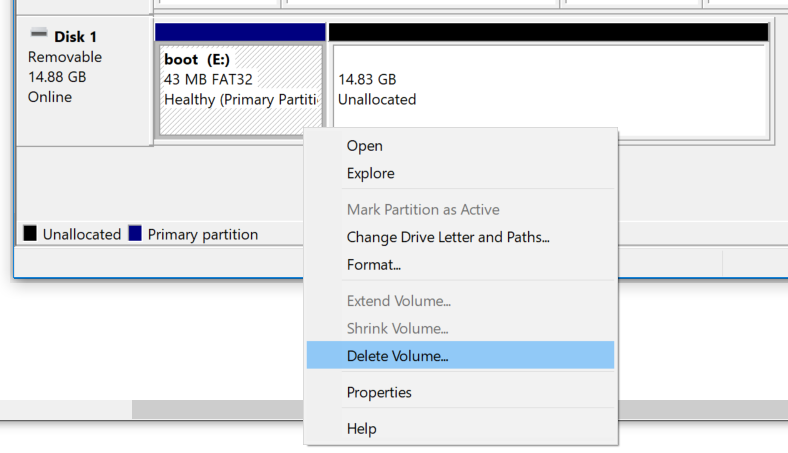 If you just want to have your SD Card formatted to the default Windows SD Card File Format just leave it on FAT32. 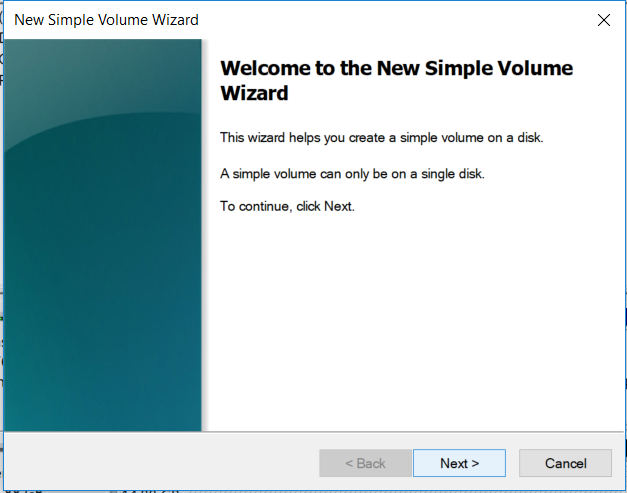 The default is New Volume. You can change this if you want. Review the setting if you want to. Click Finish to start creating (formatting) the new Volume for your SD Card. 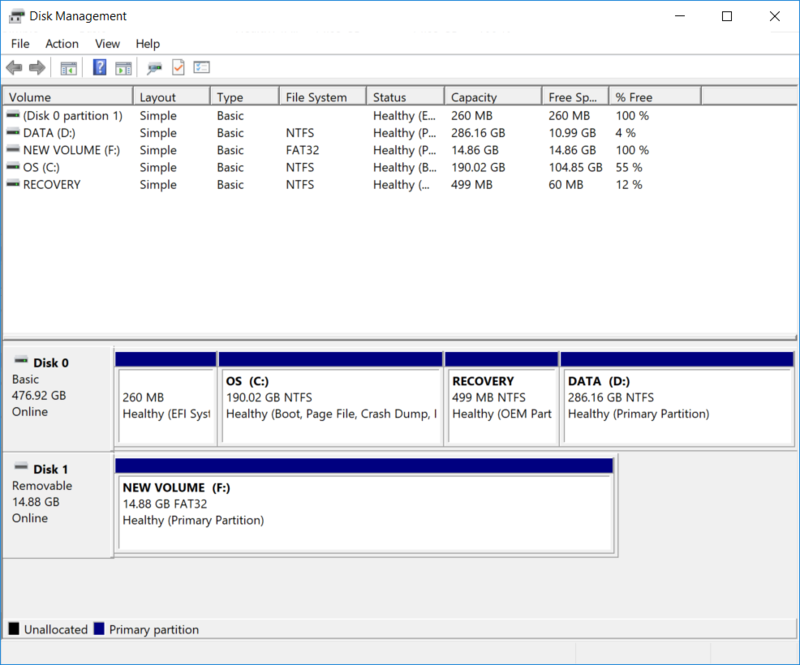 Once the process is finished you can now see a Single Volume with a Healthy (Primary Partition) status that has the same size of your Disk 1 (SD Card). You can check on File Explorer that you can now use your SD Card fully. I hope this helps as this has been once of my biggest problems before.